Journey to Spain this summer without the queues and exhaustion of flying because Silver Bay is bringing Spain to you! 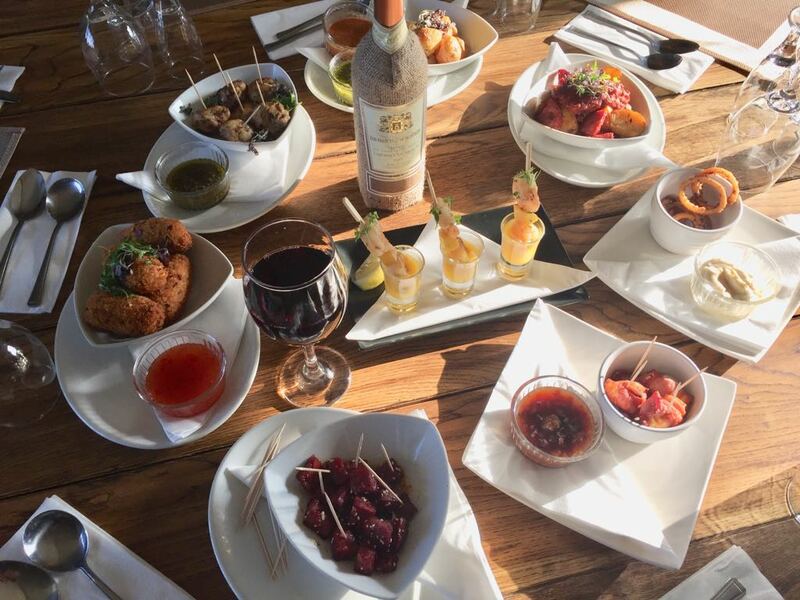 Last week we launched our new tapas menu at The Deck House so you, your family and friends can now experience the Spanish way of dining while enjoying the views of Silver Bay. Does this tickle your tastebuds? Then keep reading to find out more. As we’re by the sea it’s fitting that we offer some seafood options. 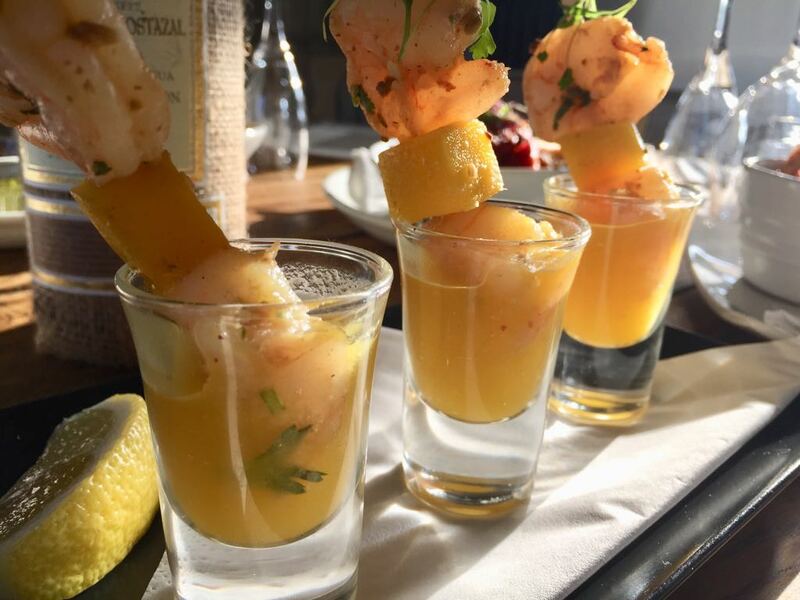 Go for something spicy with the chilli and lime squid with garlic aioli dip or why not try something a bit different with the fennel, peppercorn and garlic king prawn mango shooters? If you fancy something a bit meatier then maybe the bacon and halloumi bites with a chilli and bacon jam could be the ones for you, or we also have chicken, olive and sundried tomato meatballs with a wild garlic dip. 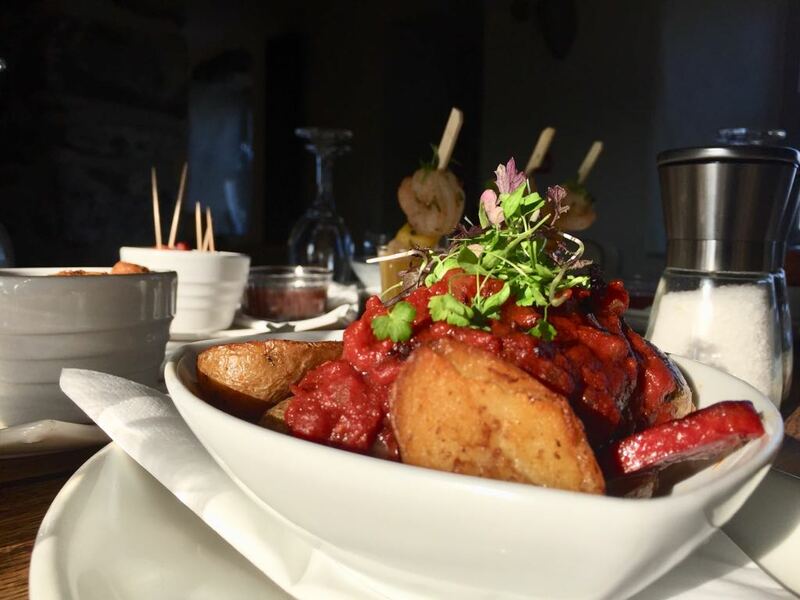 Tapas wouldn’t be complete with some chorizo so we have two different dishes to choose from, including sautéed chorizo in a deep red wine, honey, garlic and sesame glaze or patatas bravas with chorizo and a chilli, tomato, garlic and paprika sauce. We’ve also got some veggie dishes to perfectly complement the meat and fish, including cauliflower cheese and jalapeno croquettes served with a sweet chilli dip or our Canarian potatoes. For those of you new to Canarian potatoes, also known as “wrinkly potatoes”, they’re small, salted potatoes boiled and served with mojo rojo sauce. To make the most of this amazing selection of dishes we’ve got a great offer for you: buy five tapas plates and we’ll give you a dish of Canarian potatoes, mojo rojo style, on the house! We’ve also got more exciting developments coming to The Deck House, make sure to keep an eye out for more blogs in the coming weeks. To book a table at The Deck House, call a member of our friendly team on 01407 862 046. 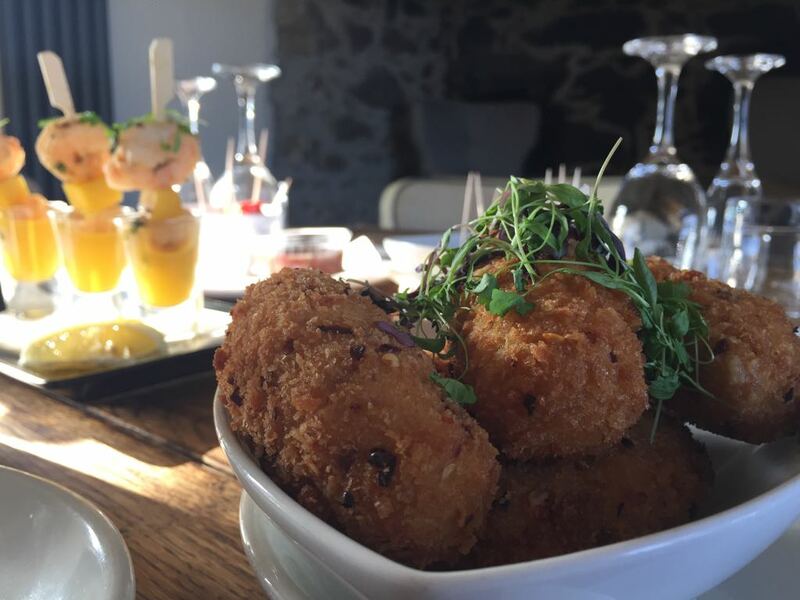 Our lodge owners and Anglesonians adore visiting The Deck House for a relaxing evening and some scrumptious food, so we thought what better to discuss on our latest blog than the inspiration behind our tantalising menu? Including a look at the brand new autumn/winter menu, and an interview with our head chef, Lee, you’re sure to have a grumbling stomach by the time you’ve finished reading – you’ve been warned! We’ve only just launched our autumn/winter menu in the restaurant just last week, and just like our summer offerings, you’ll be pleased to know we’ve used a range of tasty local ingredients to create a range of magnificent dishes. All of our meal options are concocted with love for our products, care for our guests and if we don’t mind saying so ourselves, great cookery talent. However, for the purpose of this blog we’re going to focus in on some of the most popular restaurant orders and where these dishes originate from. It takes passion, knowledge and experience to serve the juiciest and most succulent steaks, and at the Deck House, we pride ourselves on serving only the best hand cuts which are seasoned and grilled to perfection. We love to go local with our dishes, and our 10oz sirloin steak is one of those meals that we’re incredibly proud to present to guests. If you’re unfamiliar with the Anglesey area, Holyhead is a large town situated on our island, and Jones of Holyhead is a butchers that is popular with locals and tourists alike. Jones’ butchers provide customers with only the finest of British meats, and we take pride in the fact we support local businesses with our own restaurant steak offering. Make sure you opt for the Jones of Holyhead Sirloin Steak if you’re after a scrumptious, meaty meal at The Deck House- and we also recommend you choose to have it medium rare, too! Gammon isn’t just for Christmas. This wonderfully succulent joint of meat makes a great alternative to a roast and is a definite crowd pleaser at the Deck House. The Jones of Bodedern Gammon dish really is a culinary highlight for fans of this hearty dish. Overseen by the wonderful Jones of Bodedern, this multi-award winning butchers provides some of the best meat on the island. All the meat is homegrown, so you really know that you’re going to enjoy a true slice of Anglesey produce, and once more, we take great pride in supporting local businesses and using their products to bring our guests something spectacular. Founded in 1915 by Evan Thomas Jones and his wife Ellen, the business has been in the family ever since – providing tasty meats for local Anglesey residents. We know you’ll love their gammon just as much as we do if you order this off the menu! As well as using local ingredients to create our satisfying main meals, we also take pride in using them to develop taste-bud tingling desserts, too. One of our standout puddings has to be our delectable collection of ice creams and sorbets. These are locally sourced from Mon Ar Lwy, which translates to Taste of Anglesey – they really are everything that an ice cream lover could ever ask for. There are so many beautiful flavours to choose from including some more unusual flavours such as lavender, and also apple and passion fruit. These are matched alongside more the classic flavours including vanilla, strawberry and chocolate. The Taste of Anglesey is popular with Anglesey residents, and their lovely ice creams are all made on their farm. Truly sensational and yummy – what more could you ask for in an ice cream? As well as focusing on local ingredients, we like to emulate a gorgeous homemade style when it comes to our cooking. As you can see, our dessert menu benefits from a homemade hot toffee sauce, as well as a soothingly sweet crumble of the day. We also enjoy going Welsh where we can, and are always honoured to present our guests with our Welsh-themed cheeseboard. Finally, how could we have a blog about our menus without discussing the favourite pudding of our guests – our chocolate brownie? Anyone who visits The Deck House and orders this delight of a pud is sure to want seconds! If you’ve enjoyed one yourself recently, be sure to take a photograph and share them with us on social media. We’d love to hear your feedback. Of course, our restaurant food would be nothing without the culinary experts behind it – so how could we discuss the inspiration behind our menu without mentioning head chef, Lee? Where does the inspiration for your dishes on The Deck House menu come from? The Deck House winter menu is inspired by all of the amazing choice of local seasonal ingredients on our doorstep! There are lots of fantastic ingredients in season at the moment and I’ve used them to take traditional and hearty dishes that we all grew up with to the next level! I hope that the new menu fulfils that sense of childhood nostalgia! It’s clear you pride yourself on working with local ingredients in your dishes, tell us why you’re so passionate about sourcing local produce? I believe that Anglesey has fish and butchery products which are amongst the best in Great Britain, buying local is the only way to truly know that your ingredients are the freshest possible, and for me, the fresher the ingredients the more outstanding the flavour! We have made amazing relationships with our suppliers, all of which pride themselves on the quality of their produce. I like to know exactly where my ingredients are coming from! What first sparked your interest in food? My mother. I used to bake a lot with my mum, we started experimenting with different types of bread and cakes, I enjoyed the process so much that I then started to experiment with recipes of my own. I choose to pursue professional cooking from my secondary school years, however I think I became a chef long before that. I was always watching cooking programmes and I was inspired by the fact that I knew, as a chef, I would never truly stop learning! I really enjoyed my catering classes in high school so I ultimately chose to continue my studies through to college. If you could provide our lovely readers with one top cooking tip, what would it be? Top tip for curry and spice lovers! Don’t store your herbs and spices above your cooker or high up where they can become humid! Humidity and heat will cause herbs and spices to lose their flavour! Store them in a cool, dry place. Which of your creations on the menu do you love the most? I love one pot wonders! So for me, it’s the curries! I love filling the kitchen with the smell of meaty spices! It’s that time of the year now for everyone to start getting out their slow cookers, they’re perfect for winter curries! Are there any particular dishes that we can expect to see on The Deck House menu in the upcoming months? I will be introducing my mother’s famous Lob Scouse recipe which is perfect to warm you up as the nights start drawing in! You don’t need to be a lodge owner to visit The Deck House, we’re open for anyone and everyone who fancies dabbling in our tasty dishes and relaxed atmosphere. 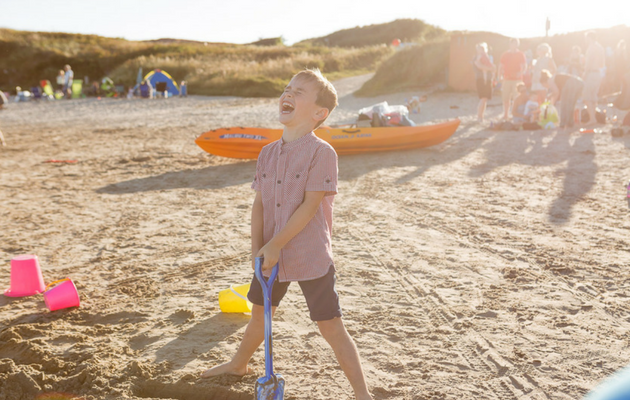 If you’re intrigued to find out more about Silver Bay Holiday Village, then why not download our free eBrochure? You can also take a look at our amazing luxury lodges and see what the Silver Bay lifestyle is all about. We hope to see you relaxing and enjoying our wonderful food and drinks in The Deck House in the near future! Remember to share your experiences on social media using #SilverBayDays – we love to see our guests enjoying themselves! 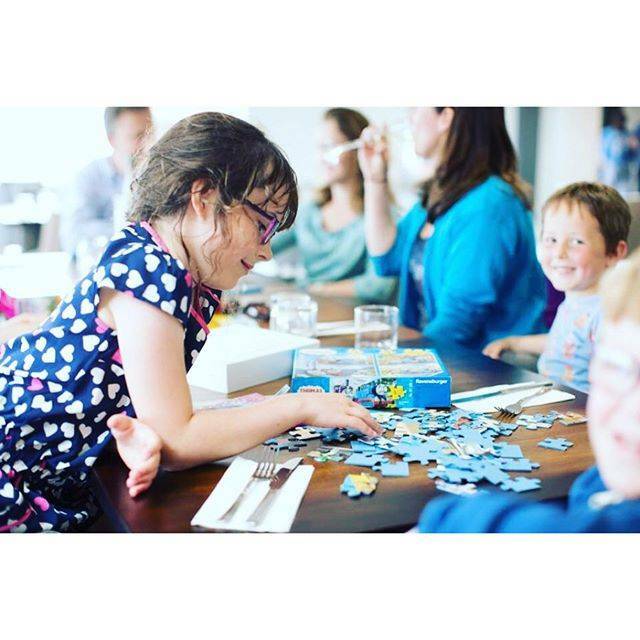 Family Dine Time Half-Term Offer at The Deck House Restaurant! The Deck House at Silver Bay Holiday Village is over the moon to announce one of our special dining offers just in time for the half-term autumn holidays! From 22 October – 6 November, we will be hosting ‘Family Dine Time’ where children dine from 4.00pm – 5.30pm for just £1.50! Find out more details in the poster below, and make sure you take a look at our ‘SILVER BAY’S HALF-TERM PLANNER AND SPOOKTASTIC HALLOWEEN EXTRAVAGANZA!’ blog here. 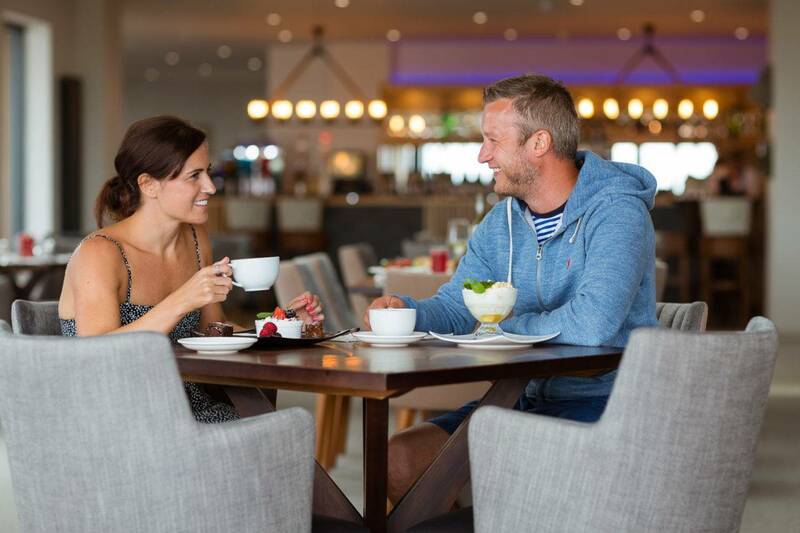 Silver Bay Holiday Village Launches Private Dining Experience at The Deck House! Welcome to The Deck House at Silver Bay Holiday Village. 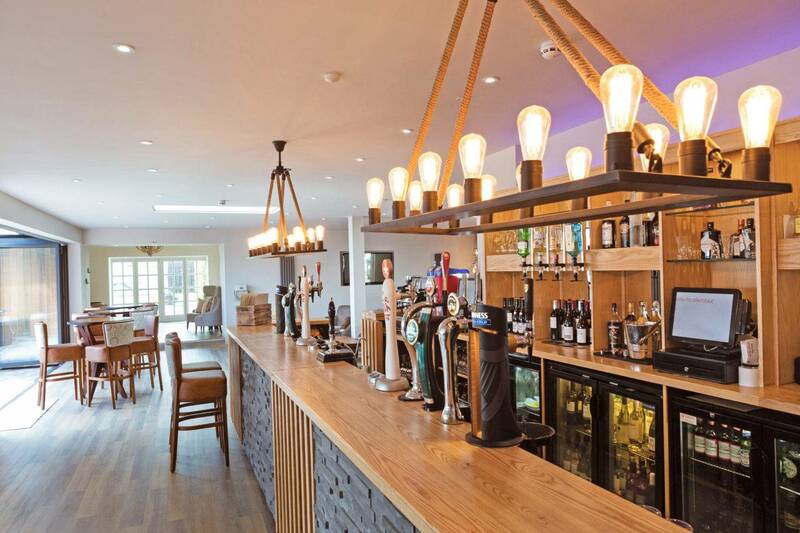 Our bar, bistro and lounge is home to an enchanting coastal setting, elegant surroundings, and a relaxed atmosphere. We pride ourselves on impeccable service and exquisite cuisine, as befits a luxury establishment, and we also offer a private dining experience. Our elegant private dining space benefits from a stunning, chic design that has been created with the guest’s wants and needs at heart. This allows for a bespoke experience that our guests adore. 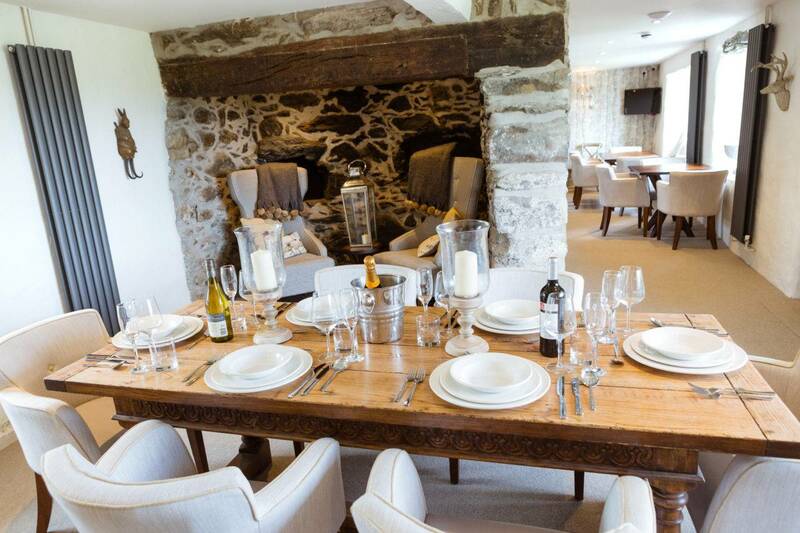 The two cornerstones of our magnificent private dining experience here at The Deck House are luxury and fine food. 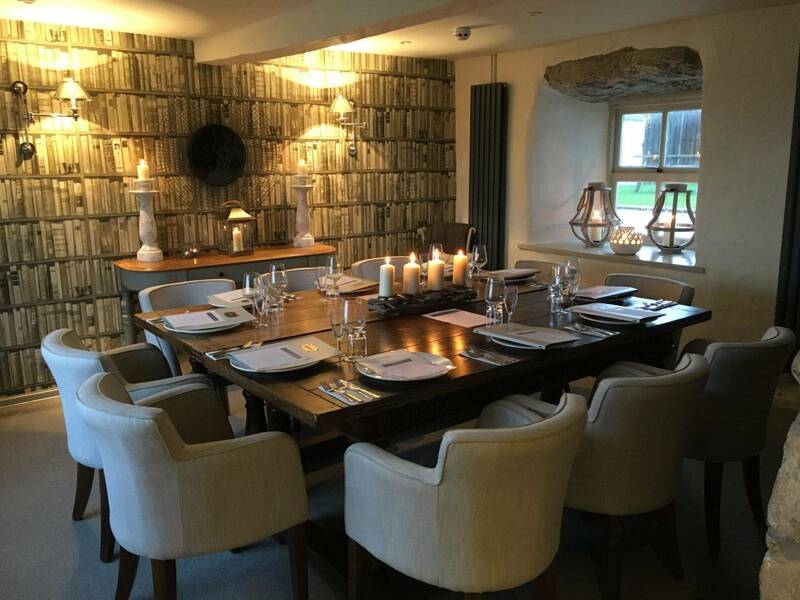 So whether you’re searching for somewhere extra-special to celebrate an occasion, or simply want to treat your loved ones to something luxurious and lavish, private dining in The Deck House is the answer. Our private dining space will see you and your party treated like VIPs. You’ll be presented with the luscious Silver Bay menu upon arrival, which you can find out more about in our blog here. You’ll also be taken care of by our expert waiting team who will endeavour to provide anything you require during the experience. We enjoy presenting each and every one of our restaurant guests with sumptuous, innovative dining concepts reflecting international influences. On top of this, our menu is prepared using only the finest local ingredients. For an extra special meal to remember, we recommend you dine on our locally sourced steak from Jones of Holyhead, followed closely by our exquisite chocolate brownies for dessert. You can also contact us on 01407 860 860 if you have any questions or queries. We look forwards to welcoming you into the very heart of Deck House luxury. As part of a series of Silver Bay Meet the Team blogs, we’d like to introduce the wonderful Leah, our manager at The Deck House. Discover a little bit about her and what her role entails at Silver Bay Holiday Village below. I’ve been here at Silver Bay for 3 years so many already know me here, collectively I have six years’ experience within the industry from managing Cardiff blues box in the Principality stadium to planning weddings! As many already know I’ve recently graduated with a degree in business management and law so I’m now ready for my next challenge here at Silver Bay! 2. What does a day as bar manager at Silver Bay entail? Every day is different! That’s what I love about it, I’m always doing something different. One day I might be planning an event for the Deck House another I might assist Lee in the new menu drafts or more recently I’ve tasted a few wines in preparation for the new wine list. Someone’s got to do it! 3. What attracted you to the role at Silver Bay Holiday Village? Silver Bay really is a special place, it really has so many amazing qualities! But having seen the amazing transition of the Deck House, which is arguably the most beautiful venue in North Wales, I was really excited to take on the challenge of ensuring its success! 4. What have been your highlights of working at The Deck House so far? The big highlight for me was the summer party! It was fantastic seeing all of our Silverbayer’s on the dancefloor and enjoying themselves. It really was a fantastic night and there will be many more to come! 5. Do you have any menu recommendations? Lee really does make a fantastic curry, they’re bursting with flavour! I would also recommend the seabass, it’s so refreshing and lee’s tapenade compliments the fish so well! If you’re lucky enough to catch it on the special, the lamb shank is a must! 6. What’s the best part about being part of the Silver Bay team? The whole team has such good rapport it really is great to be a part of it! We are all so supportive of one another and that’s really important, knowing that someone is always there to help is brilliant. I love being part of a team where there are so many different characters who all have different skills, it’s really great because the combination of different personalities and skills helps us to keep on generating cool ideas for the park! 7. Any hints on what residents can expect from the Deck House in the upcoming months? We have a tantalising new menu arriving mid-October with lots of winter treats! We a have the Halloween and the Christmas party to look forward to! This year, the New Year’s Eve party is going to be the best one yet! I’m already planning lots of different things that are going to make the night extra special! The Deck House has just introduced a new wine list with lots of special wines and we will be hosting a wine tasting evening during October week for our Silver Bayers. If you would like to experience all that Silver Bay Holiday Village has to offer, and also sample the delights of The Deck House, call Jamie on 01407 860 111 to book a site visit and take a look around our luxury lodges too.